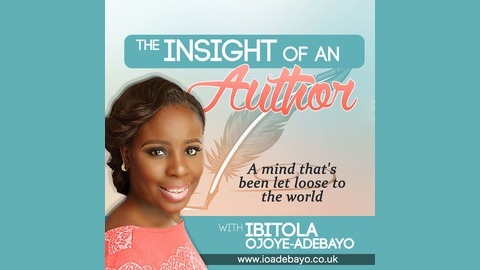 Join award-winning author Ibitola Ojoye-Adebayo on The Insight of an Author show where upcoming authors, established authors can gather some helpful nuggets that they can apply to their own life as a writer or author. Inspiration is key in ones writing journey and as long as one can stay plugged in to an inspiring source, one can be successful in whatever endeavors are seeked. 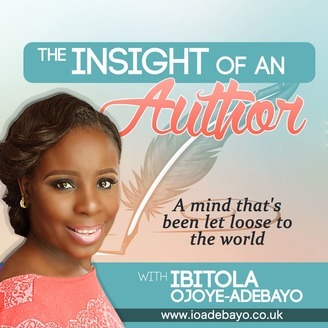 The show is where Authors, publishers and even booklovers can uncover the secrets to becoming an accomplished self-publisher like herself as she brings to you real experiences and share motivational tips to complete your path by learning from those who have faced the best and worst of circumstances on their publishing journeys.